So, you’re thinking about doing the Open. What’s stopping you from doing it? Five weeks of challenging workouts to test you both mentally and physically is not an easy feat. While many competitors will spend hours in the gym tiring themselves out daily and trying different training routines to improve their performance, you can do the same without spending hours in the gym or fatiguing your muscles. So, what’s the best way to be ready for the Open? 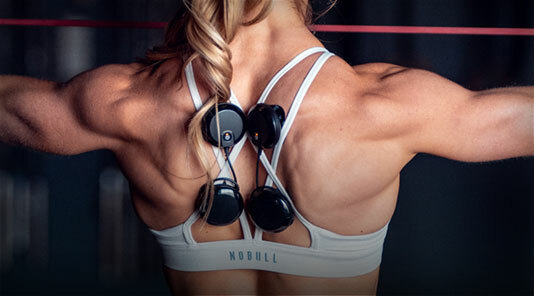 When Compex® electric muscle stimulation is added to your workouts, it helps maximize your muscular effort by engaging a greater percentage of muscle fibers. Compex® devices target both Type 1 slow twitch muscle fibers which impact endurance and Type 2 fast twitch muscle fibers which impact power and explosiveness. Using a Compex® EMS device can help take your performance to the next level. Here’s how to be ready for the Open with the assistance of one of our EMS devices. Before you begin you the Open workout, it’s essential to warm up your muscles. Using our pre-designed programs can help make your time more efficient in the gym. A dynamic warm-up helps loosen muscles and gets them ready for rigorous activity, which may help to prevent injury during training or competition. 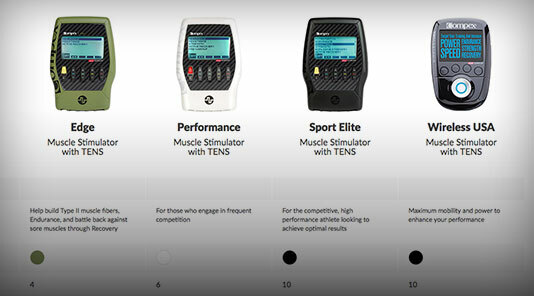 The Performance™, Sport Elite™, and Wireless Muscle Stimulator™ all offer the Pre-Warm Up program which produces a muscle twitch and runs at a low frequency while increasing local blood flow, warming the muscle tissue, and helping to improve reaction of the muscles prior to a workout or competition. The Sport Elite™ and Wireless Muscle Stimulators™ offer Potentiation which is recommended before a workout or competition, especially for sports requiring speed and velocity. Applied briefly just before the beginning of a competition, it offers immediate, well-potentiated muscle fibers and helping to optimize performance. So, before you tackle the challenge, turn on the Dynamic Warm-up setting to get ready to compete. One advantage that you’ll have if you use the EMS device is that you can help speed up your recovery before the next workout, whether you want to redo the week’s challenge or you’re ready to take on the next one at The Open. 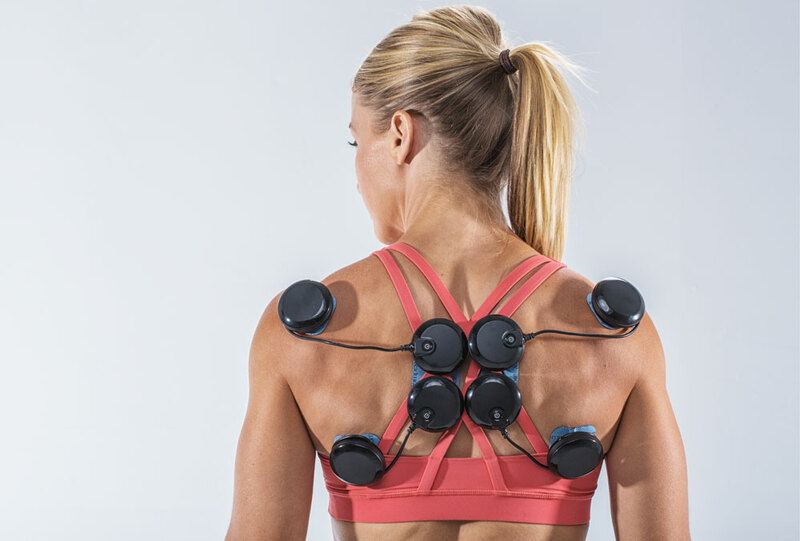 Compex® EMS devices offer multiple post-workout programs to assist in your recovery. The variety of recovery programs are designed to bring fresh oxygen and nutrients to the muscles to help flush lactic acid, aiding you to recover faster. After your workout, place the electrodes on the muscle area you'd like to target. 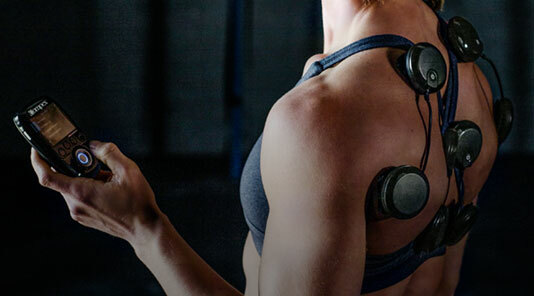 Select your program and let Compex® help you get stronger and fitter faster than you would with your regular routine. 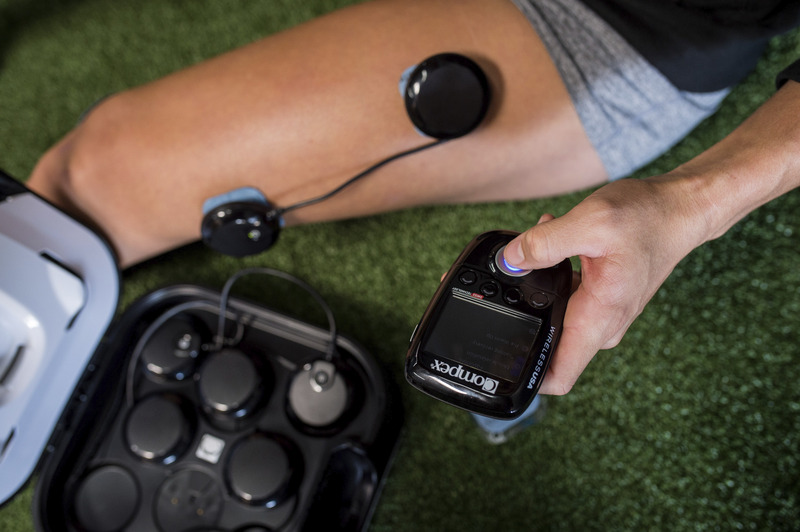 The Edge™, Performance™, Sport Elite™ and Wireless Muscle Stimulator™ offer the Active Recovery program which increases local blood flow, leading to a faster reduction of lactic acid than mere rest, promotes muscle relaxation and helps enable faster recovery. 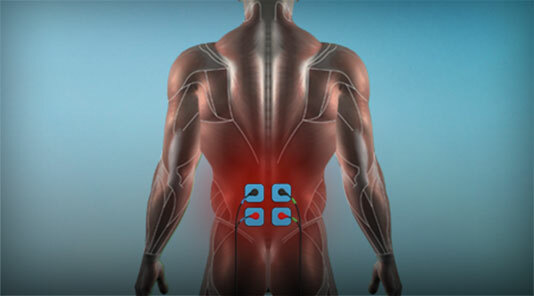 These devices also offer TENS which can be used to temporarily alleviate localized pain. 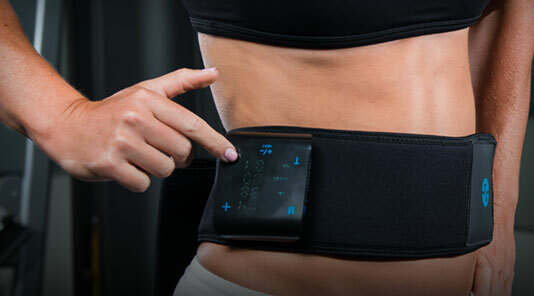 The Sport Elite™ and Wireless Muscle Stimulator™ devices offer Recovery Plus which runs at a lower frequency for inducing gentle muscle twitches, increasing local blood flow, generating endorphins (the body's natural analgesic) and promoting muscle relaxation when muscles are fatigued after a vigorous workout or competition. They also offer Massage, which runs at the lowest frequency possible to help relax muscles that are fatigued after a workout or competition. While other competitors may take breaks, stretch or try the workout before they take on the Open workouts, you can allow your body to rest while still helping your muscles improve and strengthen by using the warm-up and recovery programs. Good luck during the Open! 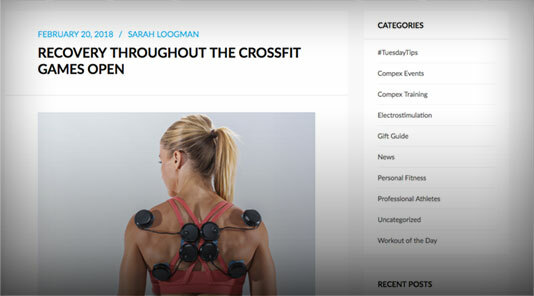 CrossFit® is registered trademark of CrossFit®, Inc.
Brooke Wells is a Compex® Sponsored Athlete. It’s Open season once again in the CrossFit community. As you train your strength and skills to prepare yourself for your best performance yet, remember the importance in recovery as a ‘next gear’ tool to earning your success. The training leading up to the CrossFit Open is often a time of high energy, high volume and high stakes. This gateway competition gets increasingly more competitive each year as top athletes contend for a qualifying spot to Regionals. Even for those who are casual participants to this community affair find excitement this time of year and find themselves pushing harder through workouts. Because of this increase in volume and intensity, it means that it is equally as important to make sure that the body is adequately recovered from training, too. Though we may all try, you can’t ferociously burn the candle at both ends and expect to perform at your best. Recovery can mean many things, but some key practices can help you structure a responsible lifestyle that maximizes the benefit of your hard work. Though you may spend four hours in a gym, the other twenty are the ones that count. Simply learning to value and budget your time more wisely will have an impact on your sleep, work efficiency the relationship you hold to your responsibilities. How much time and energy are you wasting right now on social media? Do you drag through a 30 minute warmup everyday? If you are effective with the things you need to accomplish, you will leave more time for recovery practices and rest time. The intensity of training for most athletes entering the Open season does a lot to tax the nervous system and the mind. Taking time to reflect on what is learned from training and how to increase a competitive mindset is just as important as the training itself. Take time to remember moments of success and visualize your goals. Open prep often means repeating a lot of movements over and over in order to master efficiency. This can sometimes cause inflammation of the joints, tendons and ligaments and cause aching or soreness. Natural anti-inflammatories such as turmeric or beets can help with these pains, but also making sure that the connective tissues remain mobile. Not only do our primary muscles get tight from training, but also the interconnected fascia that surrounds all of our nerves and organs, too. Exercises with a lacrosse ball, foam roller or yoga can be a good practice to maintain health of the soft tissue. Types of compression therapy or the use of an NMES device can help maintain blood flow in the tissue as well. At some point, you will have to take responsibility for the fuel you put into your body. Supplements alone will never do the trick and learning healthy and sustainable lifestyle changes to the way you eat will help you increase the impact of your training. Find experts of the field and learn to test things for yourself to find the best building blocks for your body. The Open isn’t just a test of will power and strength, but about who is able to sustain health and focus through five tough weeks. Make sure you’re prepared for this years excitement by committing to your recovery as much as you do your training. 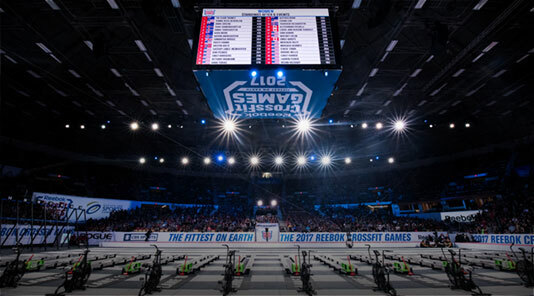 The CrossFit Open is the opening mark of the CrossFit season and is the first step for an elite few who will advance towards the Regionals and even fewer to the international CrossFit Games. 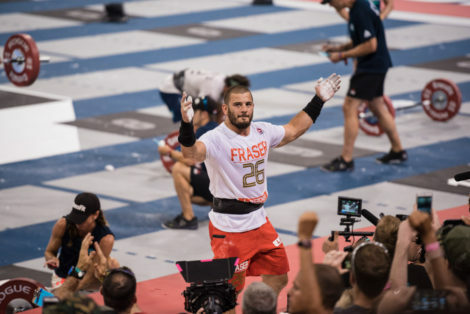 For the majority, however, it marks the single largest event of the year in which members of the fitness community push one another and get to share a leaderboard with the best athletes in the world. This all-inclusive event embodies the true spirit of CrossFit and each year, box members around the globe accomplish incredible personal feats of strength, conditioning and skill, regardless of their level. Whether this is your first time participating or you’ve signed up every year since it’s hallmark in 2011, and whether you’ll be at the bottom of the leaderboard or move on to Regionals with the best, we have some tips to share with you on how to survive and thrive in this years Open with your Compex programs. Start off your preparation with the Warm-Up program to activate blood flow and increase muscle movement. Whether you plan to do your Open event first thing in the morning or after a full day at your desk job, it’s important to take some time to wake up your cells and get things moving and shaking… literally! Choose a large, general area such as the quads, back, or shoulders and choose a low to moderate setting while you move around to set things up. If you have more time, you could even sit or lay down during the program and use that time to practice breathing methods or visualize the workout. 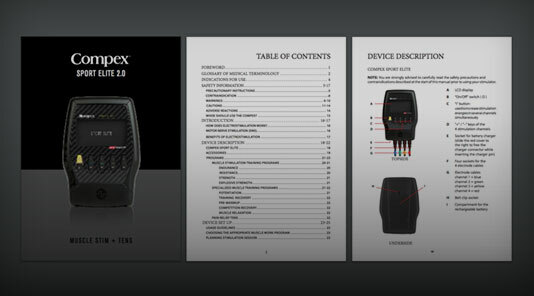 Lasting only four minutes, this is the shortest program on the Compex device but arguably the most powerful! Establish a strong connection, or proprioception, of your mind to movement and muscle so that your body knows exactly what should be working before and during the event. If the workout calls for pull-ups, place your electrodes on the lats or if it calls for a lot of squats, target your quads, hamstrings, or glutes. The strength of contractions will increase with each wave of the program so take it up as high as you can to maximize your potential! So the workout is over, now what? Maybe you’ll re-attempt the workout one more time before the deadline or maybe you’re ready to move on to the next one. Either way, recovery will be important to optimize your next performance and your training in between. 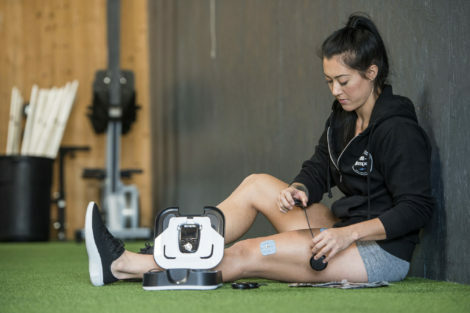 The Compex Recovery program can flush out lactic acid to prevent soreness and increase blood flow to your tissues so that you’re better prepared for your next workout in a shorter period of time. Our electric stimulation devices can help you prep, train and recover in ways that you simply can’t with traditional workouts or methods. For many CrossFitters, the Open is a momentous community event and an opportunity to test the hard work of the past year. 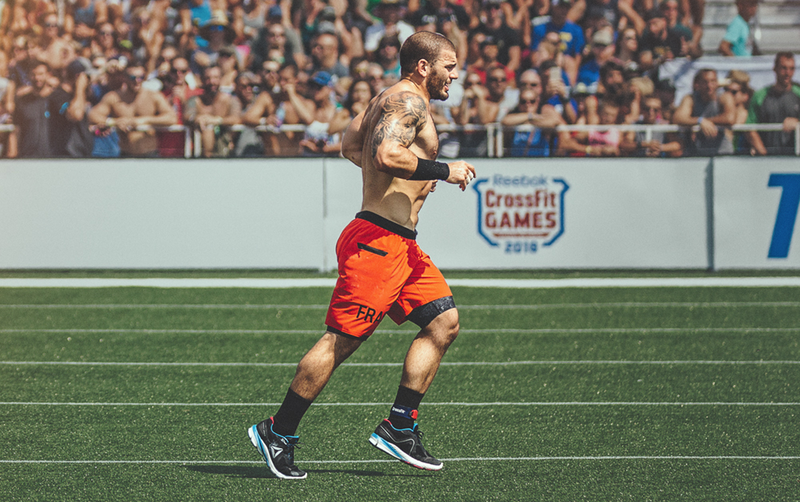 For some, it may even be a chance at moving on to the next level - the CrossFit Regionals. 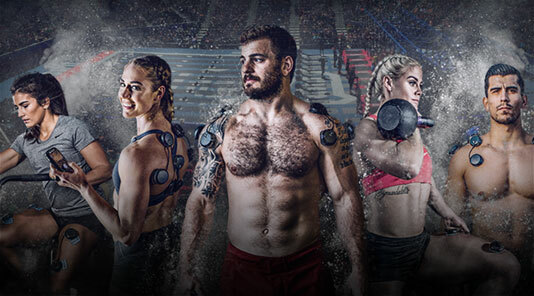 Whether you’re aiming at the CrossFit Games or just to crush your own standings from last year, be more ready than ever for this years CrossFit Open with Compex! Whether this is your first or seventh, it’s important to make sure you take the necessary steps to peak at the right time for the fast approaching CrossFit Open! Not only peak, but stay consistent through the 5-week competition. Have a clear, realistic plan and stick to it. The last thing you want is to get caught up in each individual workout because you’ve got five weeks of back to back competition ahead of you. Talk to your coach, as they are most familiar with your skill set, and can help you set up a plan to follow over the course of the competition. If you are new to The Open, be prepared to be humbled in various ways but remember to enjoy the journey. Sometimes people can get caught up in the modifications, don’t. Realize there are thousands of others doing the exact same modifications you are. Also, keep it all in perspective – if you have a bad showing, let it go and move on to the next week with an even better plan of attack. Maintain skills, strength, and work capacity throughout the 5 weeks. Don’t exhaust yourself before the next Open event, but certainly don’t sit out during the week and get stiff. Choose activities that will help continue your form development, keep your fitness up, and help you stay loose for the next test. 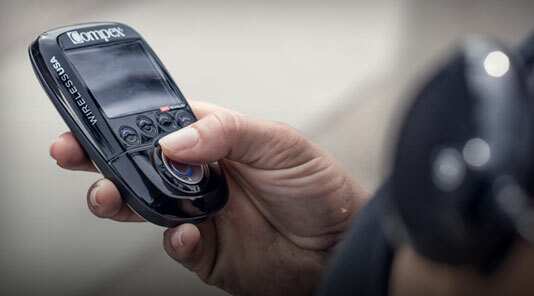 Your Compex device should be your best friend throughout the event! Rely heavily on the appropriate programs to keep your body top notch. Have a weekly taper to be fresh for "game day". This is key if you are going to make it all 5 weeks in the CrossFit Open. These workouts are designed to test your body to the max, so make sure you’re giving your body time to recover from the last workout so you can peak accordingly. Utilize your Compex device to flush lactic acid and give your muscles the attention they need to recover. You’ve got this. Follow what you know. Your normal warm-up and cool down routine will work, no need to reinvent the wheel. Take time to set up your workout station and make sure everything you need is in its place. This could shave a couple of seconds off your time, as well as keep you organized and help alleviate any potential frustrations. Don’t forget nutrition. As you push yourself to peak performance for The Open, it’s important to keep fueling your body with nutrients that help with recovery. It’s well known that protein is the building block of muscle so make sure you are get adequate protein, particularly amino acids. Healthy fats like coconut oil and avocados are great ways to help fuel you through the day as you may notice your appetite continuing to grow. Join Compex at Wodapalooza this weekend in Miami. Competition starts Thursday January 12th at the Downtown Miami Bayfront Park and runs through Sunday January 15th. You can join us at the Festival to test out a device and talk with our experts on how to incorporate Compex into your current routine. 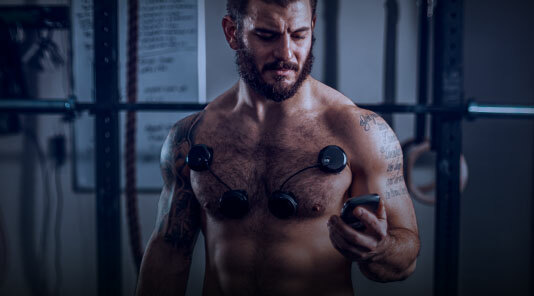 Compex can help athletes with power, speed, endurance, and recovery. Good luck to all of our athletes competing this weekend!